Ushuaia – Hostels in Ushuaia. Maps for Ushuaia, Photos and Reviews for each hostel in Ushuaia. 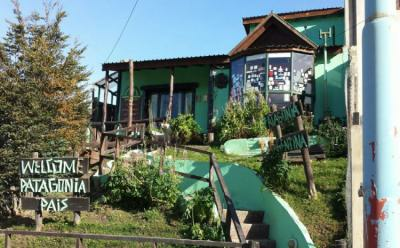 Looking for a hostel in Ushuaia? Look no further, all the good deals in Ushuaia are on Dorms.com. Like thousands of other people every month, book your hostel securely at the best price in all neighbourhoods of Ushuaia. On this site, you can easily find a hostel downtown, in a trendy neighbourhood; a hostel in the student- university district, close to bus or train stations, airports or major attractions of Ushuaia. Our Hostel is located in the trendy Kuanip street. Supermarkets, Bus stations, local fast food places and more are around the corner! To 5 minute walking is the Presidio Museum which is a former jail. To 1 hour walking is the Martial Glacier, it is recommended that you be walking to appreciate the beautiful landscapes. To 7 minutes walking is the Beagle Channel, is the border between Chile and Argentina. The treatment was excellent, the cleanliness and the bathrooms are impeccable. The decoration very good, artisan style. The beds with curtains were very good. The large kitchen. Very nice and breakfast very good. Tastefully decorated, brand new, beds with privacy curtains, good sized lockers, wonderful breakfast, well-equipped kitchen. Warm and friendly family who runs the place. The pictures don’t do the hostel justice. The views are beautiful, especially in winter. The owner is very attentive to our needs. The staff are very helpful in arranging tours and giving directions to point of interest. The hostel had a homey atmosphere and everyone went out of their way to make us feel at home.